As posted in 2015, Montreal provided my first taste of the Olympics during my third year. 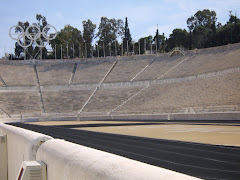 The 1976 Games' famous U.S. decathlete is my earliest connection to an iconic champion. The second gold medalist in my personal Olympic lexicon? That would be swimming superstar Shirley Babashoff. Somewhere in the Wolaver archive there are mid-1970s photos of my sister and I in patriotic swimwear our mom stitched together with fabric inspired by Babashoff's and Team USA's Spirit of '76 uniforms. We pretended to be Olympic swimmers "like the ones on TV" in our plastic kiddie pool under the blazing Oklahoma summer sun. It was fun to share this memory on a recent call with Babashoff, who just finished her first Olympic biography with Chris Epting. 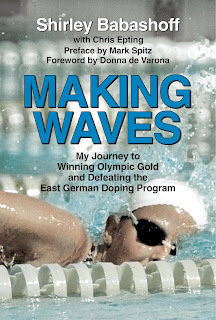 Titled "Making Waves: My Journey to Winning Olympic Gold and Defeating the East German Doping Program" (Santa Monica Press, $24,95), the eight-time Olympic medalist of 1972 and 1976 scribed about 250 pages of career stories and life observations. 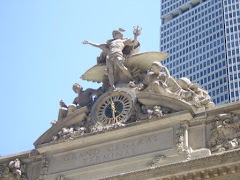 Babashoff proved to be as frank by phone as in the book, sharing her own memories with little held back. While much of "Making Waves" delves into the two-time Olympian's first-hand frustration with organized doping -- now even more relevant in light of the Russian Olympic doping scandal of 2016 -- she also reveals the longtime family secret that her father molested her many times as a young girl. "The perception of media at the time was that we had this All-American family," said Babashoff during our call. "I wanted to put everything out there." It doesn't get more matter-of-fact than the fifth page of Chapter One, which is titled "Growing Up." I don't know why my mom didn't hear me cry. When I was five years old, I said to her, 'Daddy comes into my room at night and touches me.' My father was right -- she called me a liar and told me to never say that again. Then she got the bible out and made me read the fifth commandment: Obey your mother and father. More on this revelatory chapter later. 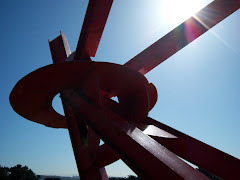 Sharing our one-hour call from her home in Fountain Valley, Calif., Babashoff said a book was on her mind all of the 40 years since Montreal, but a chance meeting with Epting 10 years ago was the tipping point to get it started. Even after a positive introduction, they only really got going on the project in 2014. "Writing a book had been rattling around in my head for awhile," she said, adding that "getting it on paper" was the biggest hurdle. 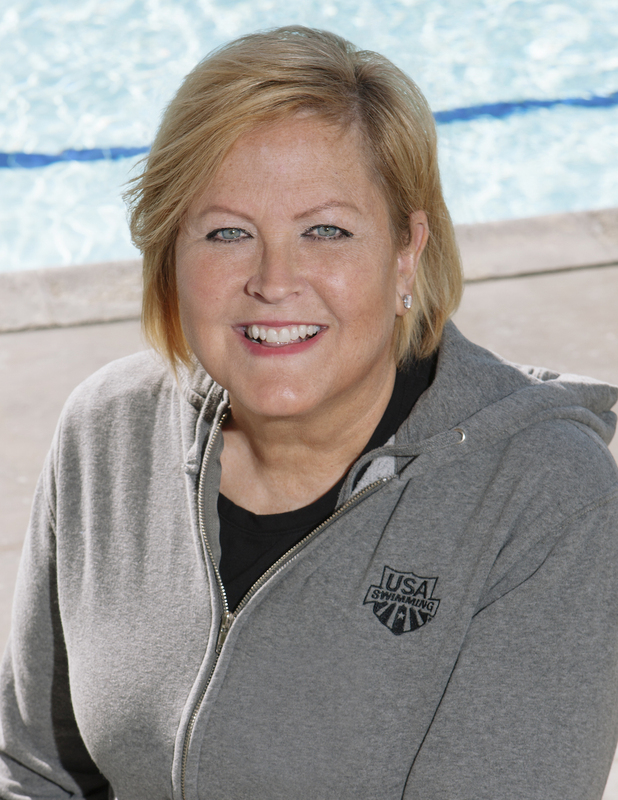 For many years, raising her son was also a factor as was her post-swimming career with the U.S. Postal Service. "I was approached by authors and directors wanting to tell my story in a book on on film, but the timing never felt right." 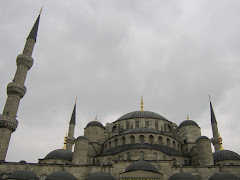 Production of the recently released documentary film "Last Gold" also nudged the book project to completion. For Babashoff, the No. 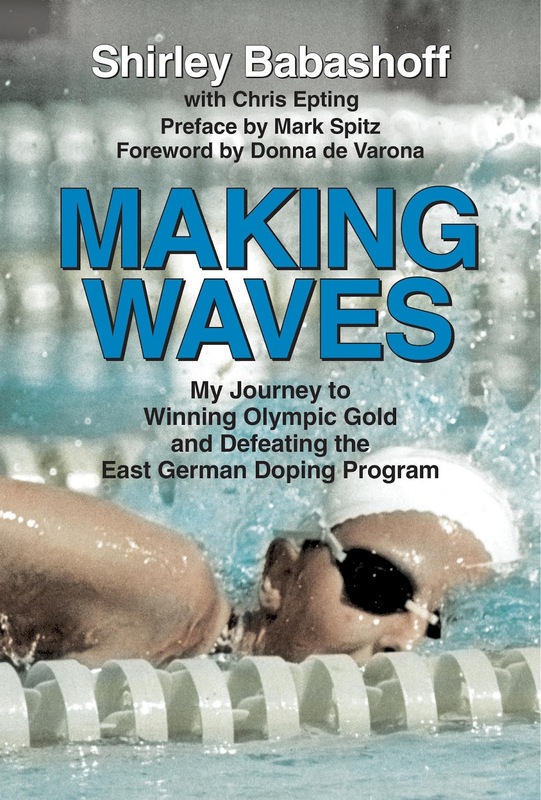 1 reason to write "Making Waves" was to continue to shine a light on East Germany's athlete doping program, for which she was a vocal critic in 1976, garnering an unfortunate reputation and nickname among sports reporters of the era. 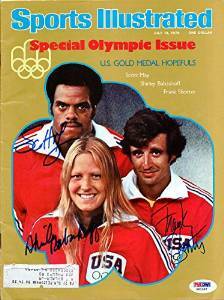 "I should have been more gracious," said Babashoff, who explained in the book and by phone that for the 1972 and 1976 Olympics, athletes did not receive media training they way they do now. 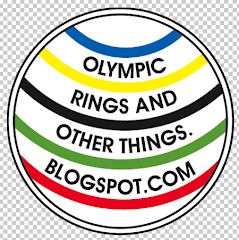 In fact, her hunch (with which I concur) is that Olympian media training is common U.S.O.C. practice now because of Babashoff. On the written page, Babashoff' vividly describes her first-person Munich and Montreal Olympic experiences, from her interactions with famous teammates to pin trading to a day or night with friends in the Olympic Village. 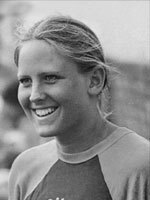 In a section detailing her initial medal-winning event at Olympia Schwimmhalle (her 100-meter freestyle silver), I smiled at her description of youthful innocence and curiosity. "I was taken into that little room, [where] they directed me to a small refrigerator and told me to find something to drink. Inside there were a few cans of soda and a couple of bottles of beer." For her first doping urine sample, 14-year-old Babashoff knocked back some Bavarian suds (priceless!). This set-up puts into context the author's observations that at Munich there was a relaxed stance on doping for its absence of obvious side-effects among the competitors. 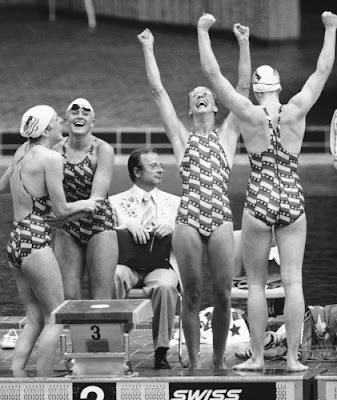 Readers later learn of the arrestive transformation East Germany's female swimmers endured on the road to Montreal. On her first locker room visit to test the waters of the Olympic pool in Canada, Babashoff and other disrobed teammates were distraught to hear "men talking in another language just on the other side of our lockers!" Of course, the masculine-sounding conversation was among their female competitors for the Deutsche Demokratische Republik. 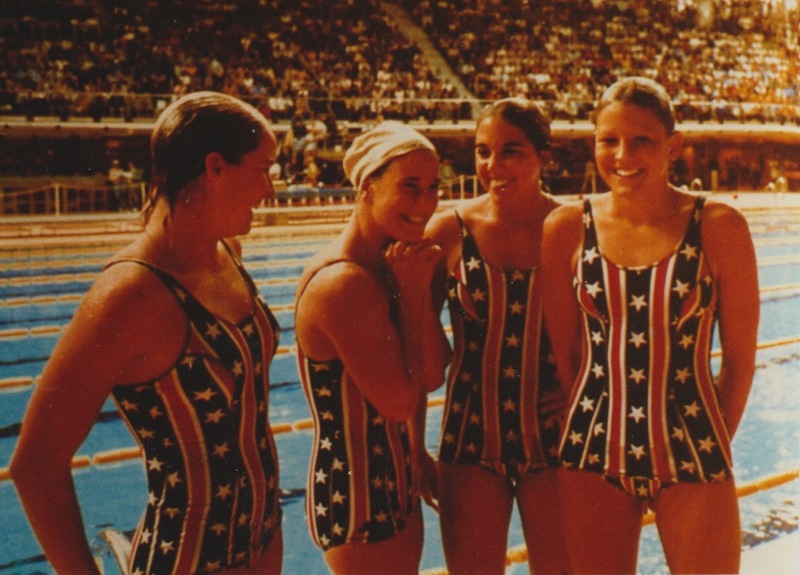 After shaking off the locker room encounter, Babashoff and teammates went on to earn a frustrating batch of silver medals, eventually regrouping and achieving redemption with a relay gold in the Games' final women's swimming event (this video includes the play-by-play by Donna de Varona, who wrote the book's foreword). Babashoff explained the main goal of the book was to bring attention to the doping issues which resonate as much today as they did 40 years ago. She would like to see even more change to make sports clean. 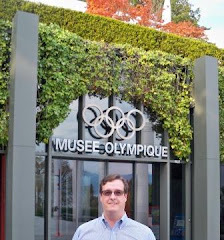 In her open letter to IOC President Thomas Bach, a fellow Montreal Olympian, Babashoff also presents a case for updating the medal records for 1976 Olympic swimming. "I'm not asking that the East Germans be stripped of their medals," Babashoff wrote. "Those girls were tools of their country ... they never knew what was happening to them ... and they themselves were cheated by their own government." "So, simply slide everyone up" on the medals record, she suggests. 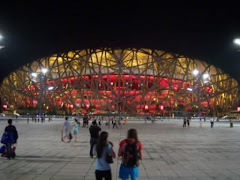 "Give those swimmers the medals they deserve, and let the East Germans keep theirs." The book was released on July 12 -- no word from Bach so far, said Babashoff. My plan is to ask him about it in Rio if given the opportunity. For this reader, the early chapter revelations about Babashoff's parental abuse jumped off the page. I was taken aback that an Olympic champion previously known for perseverance over a blinding media spotlight did so -- at two Olympiads -- during and after enduring sexual abuse from her father and emotional abuse from her mother, who is portrayed in the book as a woman who was her husband's main enabler. Babashoff's descriptions of her father's arrests and how media (and society) seemed to turn an intentionally blind eye to the dark side of the Babashoff household are gripping. Both parents and her siblings -- including a brother who won silver in Montreal -- are noticeably absent from the author's acknowledgements. The Olympic champion said she has not spoken with her older brother in 25 years, and it's been 14 years since connecting with her younger brother; she also mentioned her younger sister, and swimming pool contemporary of Janet Evans, is a Facebook contact. Babashoff said many women who read the book commented on the descriptions of abuse and relate directly to these passages. I asked Babashoff if becoming an advocate for victims' rights was in the works, and she responded that was not her intent but she remained open to that possibility. "I hope the book helps people," said Babashoff. In the days since our phone conversation, I've often reflected on her perseverance on a new level only brought to light through the book. "Making Waves" is a good read for any swim fan, Olympic historian or person looking for inspiration, and it quickly joined the ranks of my favorite Olympic-related biographies. Photos via Yahoo and Santa Monica Press.